These are the show notes to a video episode. You can watch online right here by clicking on this direct link. 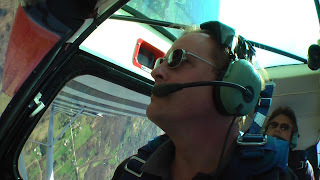 http://media.libsyn.com/media/airspeed/AirspeedAcro02.m4v. It’s here! 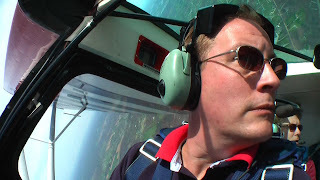 The second full-up Airspeed video episode! 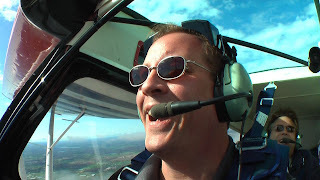 These are highlights from my first flight in the American Champion Super Decathlon. 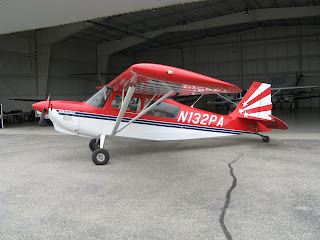 I had flown the Citabria with some frequency in 2007 and had a couple of flights in that aircraft in 2009, but this was the first Super-D flight. 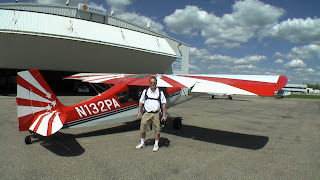 By this time (April 16, 2009), I had received word that my T-6A Texan II ride had been approved and I knew that is was going to be sometime in May. 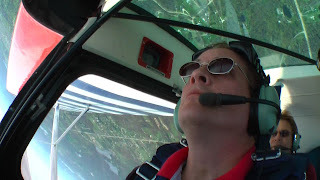 So I got out to the airport and flew acro aggressively to condition myself for the Texan ride. 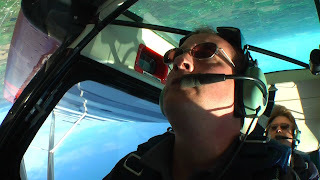 I wanted to be able to fully experience that ride and motion sickness can be such a buzzkill, in addition to making the coverage for you guys pretty lame. 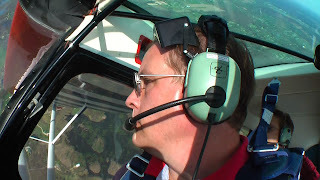 So I headed out to Sutton Aviation and set up an acro program with Barry Sutton where I’d train as aggressively as I could and try to build my endurance for the T-6A ride. 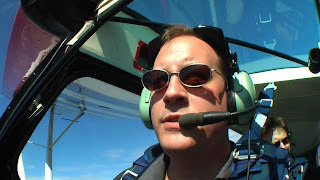 Toward the end, I was flying twice a week and getting a pretty solid 25-40 minutes of maneuvering each time. But this flight was pretty short. 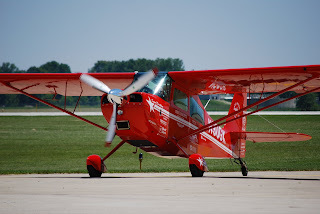 I rag-dolled myself pretty quickly, both because I was just getting my tolerance back after a long winter and because this aircraft is a lot more powerful and maneuverable and I was able to throw myself around the sky a lot more aggressively. Anyway, here’s the video. For those to prefer, or miss, the audio episodes, I have more in the pipeline. 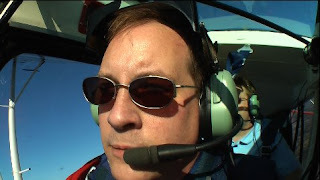 I’m out on the patio this evening writing the script for the seaplane episode. And I go into the studio in a few weeks to record the music for the T-6A episode (provided that I’ve finished writing it by then). 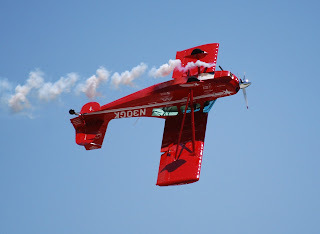 Be sure to catch me at the Indianapolis Air Show next weekend. I’ll be there Thursday through Sunday. 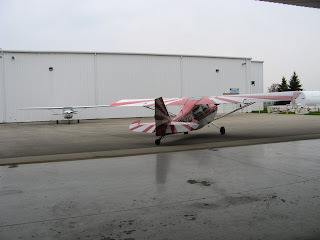 I’m doing a presentation for the Civil Air Patrol at Jonathan Byrd’s Cafeteria in Greenwood, Indiana 6:00 – 9:00 and I’m thinking about having an Airspeed meetup/Tweetup at Damon’s in the Holiday Inn Indianapolis East on Friday at 7:00. Watch my Twitter feed for details and to confirm before showing up. This is a regular blog post. You can find show notes and links to show audio in other posts. 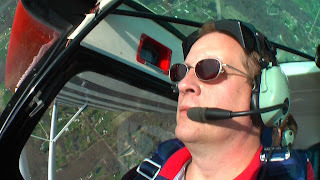 About 1.5 in the Super-D yesterday with Barry Sutton, about 35 minutes of which was pretty good and consistent acro. Tolerance is getting a lot better. We pulled several combinations, including a loop to a hammerhead to a four-point roll and back-to-back split-S’s (a reverse Cuban eight?). Feeling pretty good about the tolerance. 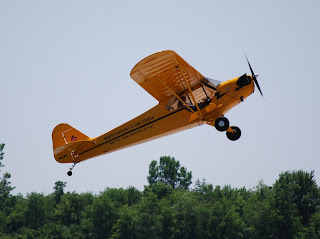 I go for one more session in the Super-D this week, go get a seaplane rating this weekend, then it’s off to Randolph AFB to fly the mighty T-6A Texan II. It all seems to be happening pretty quickly but, in fact, it’s a result of a lot of planning as far back as last September. Anyway, here are a few frame grabs from yesterday. Just a few more frame grabs from last week’s acro conditioning session with Barry. I’m working with Final Cut Express to try to transition from Premiere to that package so I can publish a few video episodes of this acro. Should be a lot of fun once I get up the learning curve. In the meantime, enjoy!